Working on the basics is the best place to start on your journey towards becoming the best version of yourself. Crossfit exercises can seem like a lot to take in at first. If you are new to the sport of fitness, or have just started, then you probably understand that it can seem a bit intimidating sometimes, especially at the beginning. These 7 exercises will give you a good feel for what to expect and what you will learn. Whatever your current standard, don’t worry, there is no pre-determined level of fitness that you need to have before you begin. All you need is the willpower to take the first step on your new journey. All in all the Crossfit community is a pretty friendly place. You will be pushed to your limits and get much, much fitter, and it won’t be easy. But you will also meet great people and have fun in the meantime. Train hard, have fun, make friends. Firstly: never forget dynamic stretching to warm up! Stretching and mobility is an essential part of Crossfit, but firstly, lets focus first on a few of the exercises you will come across. ARE YOU READY NOW? SO LET’S GET STARTED! A simple and essential movement. Once you learn this you will progress onto many different variations. Once you get the hand of this and begin to add in a barbell as well, then this exercise will start to make you very, very strong! Another great full body exercise is the “Burpee”. You may grow to love to hate this exercise, but there is no doubting how effective it is! Just like Push Ups, Pull Ups are also good for your upper body. 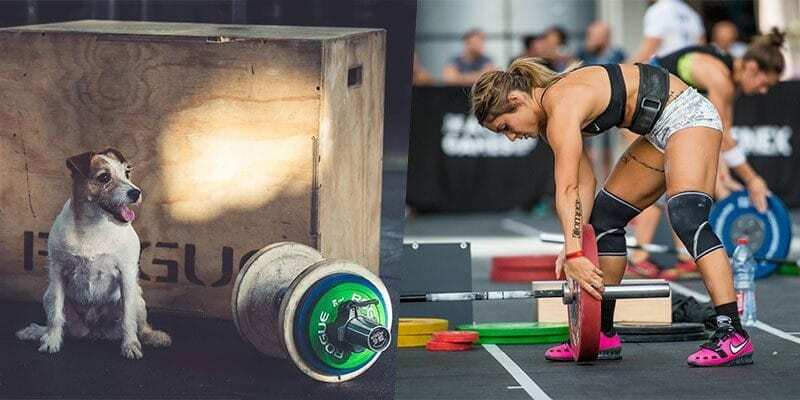 They can be tricky to master at first, especially if you need to firstly build more upper body strength, but there are many progressions and tips in Crossfit that will help you out. Deadlifts are a classic exercise that you perform with a barbell and weights. They help to strengthen your back and core and allow you to become mentally stronger and physically more powerful person. Also good news for men: Deadlifts help to increase your testosterone hormone level. Your mood when you rock these Crossfit Exercises! I’m certain there will be many exercise that you can already do well here, but don’t worry if not. Everyone is different and we all start at different levels. Crossfit is suitable for EVERYONE. Find more beginner level WOD’s now!